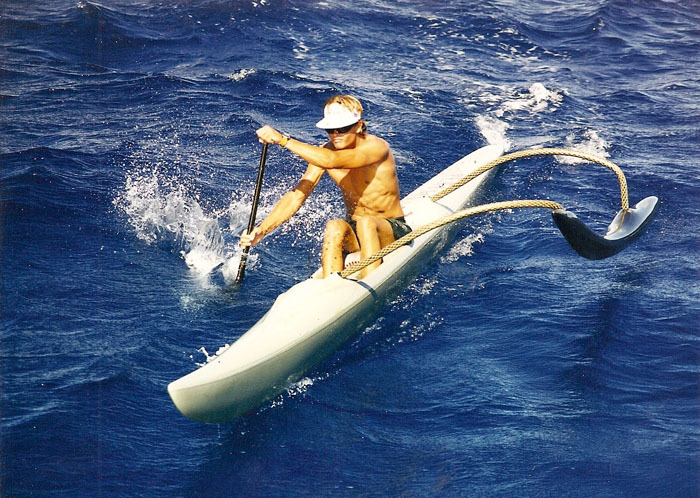 The MANTRA was a high volume canoe with the first ever foam stationary seat and an optional sliding seat. Its new ama was designed for the Mantra specifically in order to fit its high volume, and the foot well drain holes are moved underneath the foot wells with the venturi like sucking system. The new ama has a lots of reserved buoyancy and the riding point of the ama is moved under the rear IAKO. Junior wins his second Molokai Championship and teams up with Kai Bartlett to win the Molokai Relay as well. Outrigger Connection shipped two of it’s canoes, the Viper and Viper Duo to the Czech Republic in Europe. 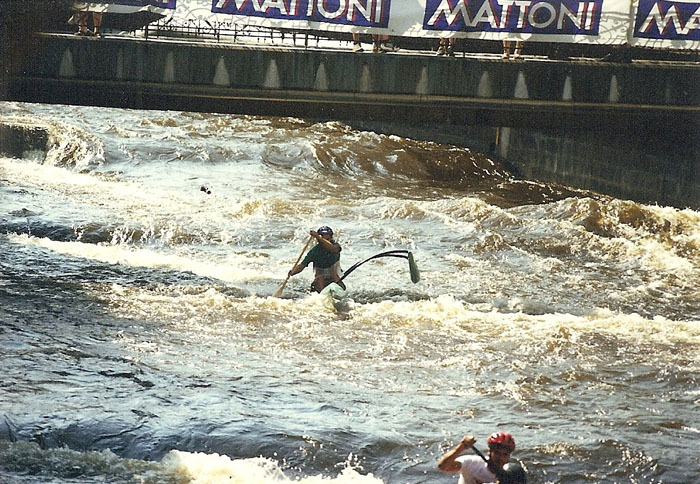 OC used them as a demo in the White Water Championship race in Karel Seniors home town, Karlovy Vary. Both boats were equipped with kick up rudders to eliminate damage from shallow waters in the river. The boats were greatly accepted and admired. A new franchise, Outrigger Connection Europe was opened and the six mans were about to be built in Europe for the European market!!! 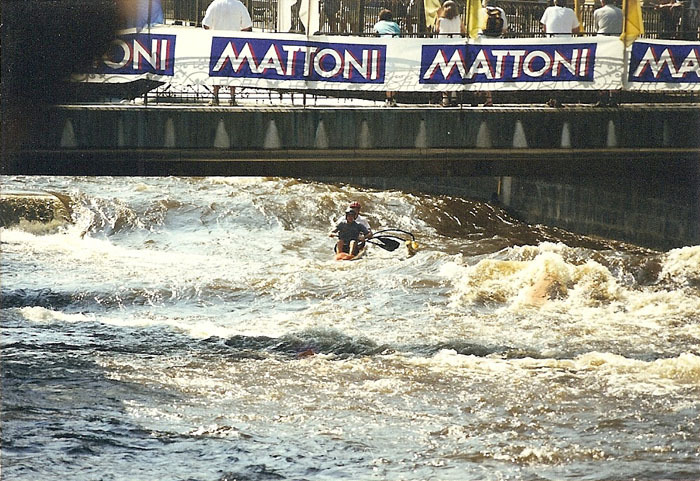 Karel Jr shooting the rapids in Karlovy Vary on a Viper. I just dug up this old footage of an OC4 surfing session I had with Todd Bradley , Chris Miller and Peter Corbishley at Makaha Beach. It was an awesome day, we just kept padding out and surfing back in for 2 hours. It was heaven on a stick! As you all know we are now making lightweight Mirages, weighted up to 155kg of course! But did you know you can start racing lightweight now before the 2013 rule change and still be totally legal? Yes it’s true, you can put a set of our lightweight iakos, Puffy Ama and lightweight covers off our lightweight Mirage package onto one of your existing Mirages and save 10kg off the overall weight. And it’s totally legal!!! This will also save you money, because when the rule change comes into effect in 2013 your club wont have to find all the funds to buy a whole new light weight racing OC6 rig, you will only need to buy the Lightweight Mirage Hull for $13,780 and drop your lightweight rig onto it and be ready race! Posted in: Accessory, Lightweight, Mirage. The Viper evolves into the Viper XL with the cockpit radically moved 6 inches forward for better surfing ability. The team grows with the sponsorship of Simple green to: Walter Guild, Karel Junior, Kai Bartlett and Mike Judd. A special, super strong, Simple Green colors Viper XL is built for one picture ONLY, in big wave surfing, conditions permitting, sometime, somewhere??? OC designing team just finished our OC2 VIPER DUO. Pat Von and Greg Edwards became sponsored two man riders. 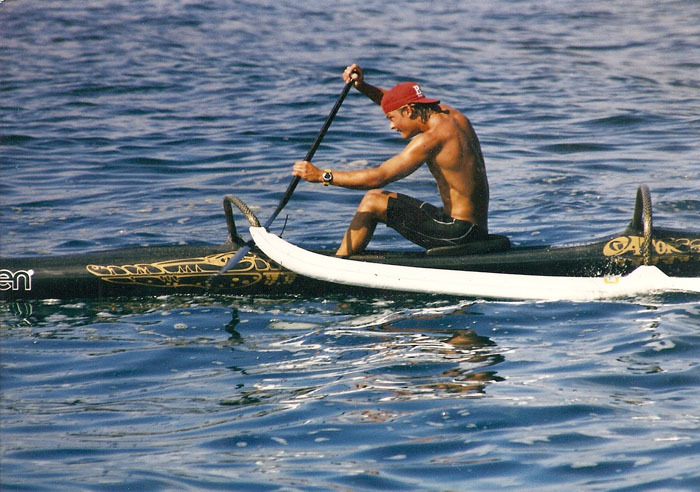 Andy Penny and Kai Bartlett win Catalina Relay race on the Gator. 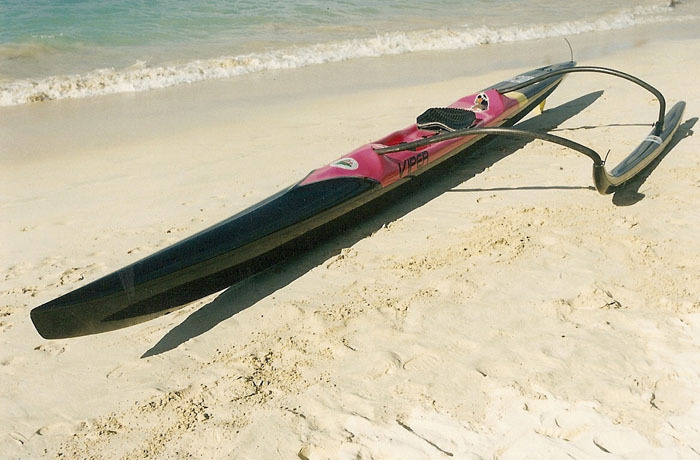 Gator is the most popular OC1 in California and is licensed to be built in CA by Canoe Sports. Junior and Todd Bradley travel down to New Zealand to the Bay of Islands race. Junior wins the race on the two piece Gator . Check out this beautiful and humble movie about one mans determination to re- connect with the ocean. 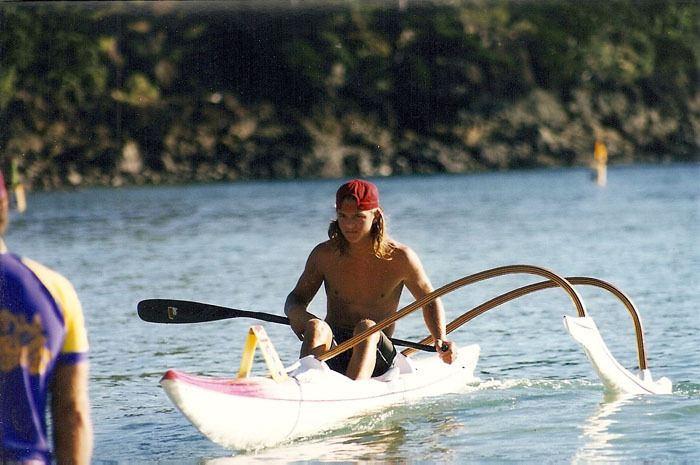 Getting some great pics of Mirage canoes in action on the Outrigger Connection Facebook page. 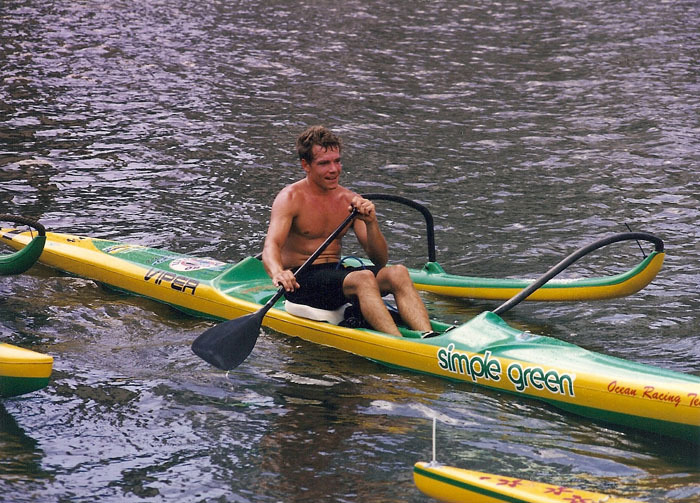 If you haven’t posted yours yet, hurry up only a few days left to win a Patagonia paddling top. Check out the new Outrigger Connection Australia Facebook page. I’ll be using it hold competitions, load photos, videos and keep fans up to date with all thing outrigging. To kick if off, the first competition will win you a Patagonia racing top for posting your favourite Mirage action photo onto the Facebook site. Here is the link. The VIPER is the brand new shape and design. It had a wedge like nose entry and new deck, a splash guard and newly shaped ama were the biggest new features of the Viper. 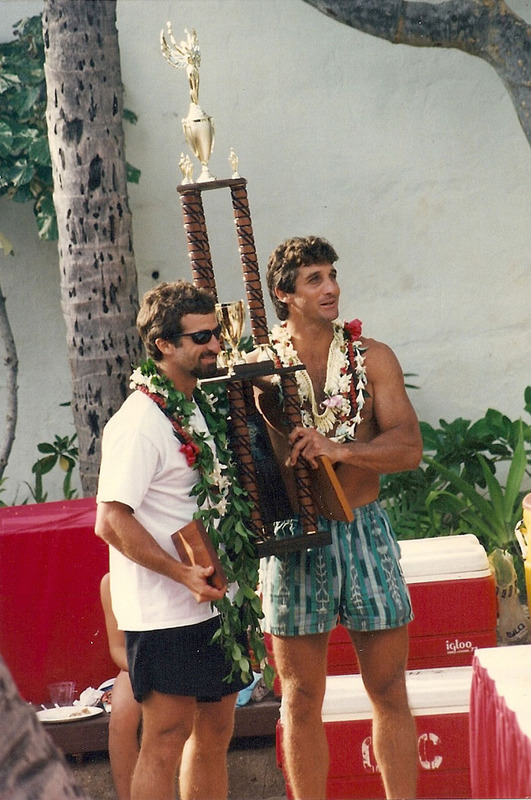 Jim and John Foti win the Molokai Relay race and Mark Rigg wins the Molokai Solo race on the new VIPER XL. Junior paddles a Thunder’s in Hamilton Island Cup. 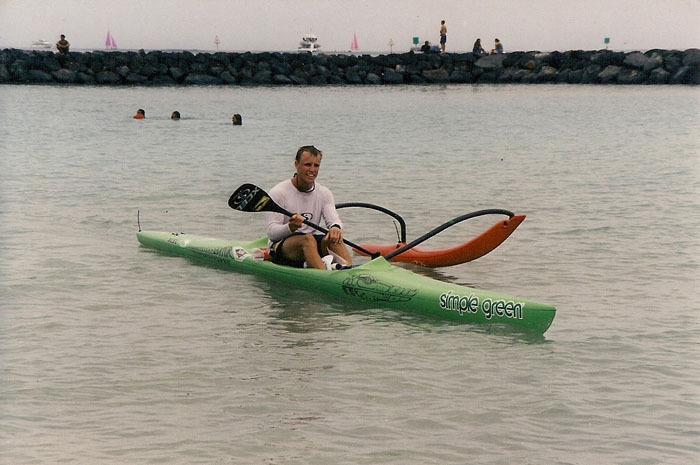 There was also the GATOR designed for flat water performance and Walter Guild and Mike Judd won Catalina Relay race on a GATOR. 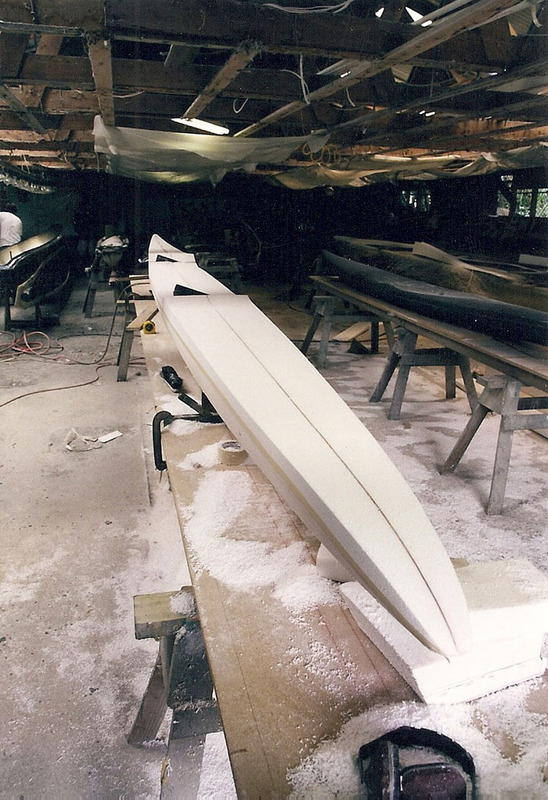 Outrigger Connection were starting to build super light Gators, full double carbon clear finish construction and custom colors. The team of sponsored riders grows with new members, Kai Bartlett and Andy Penny joining the team. 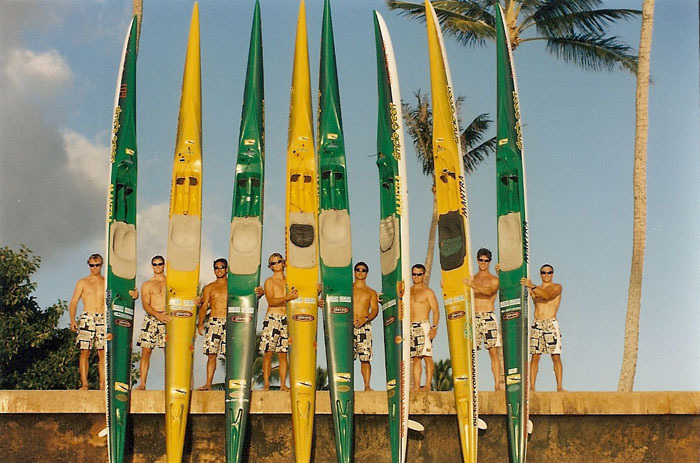 The reason for designing the flat water canoe was to offer paddlers a choice, similar like a quiver of surfboards and Outrigger Connection was now offering a quiver in OC1s. 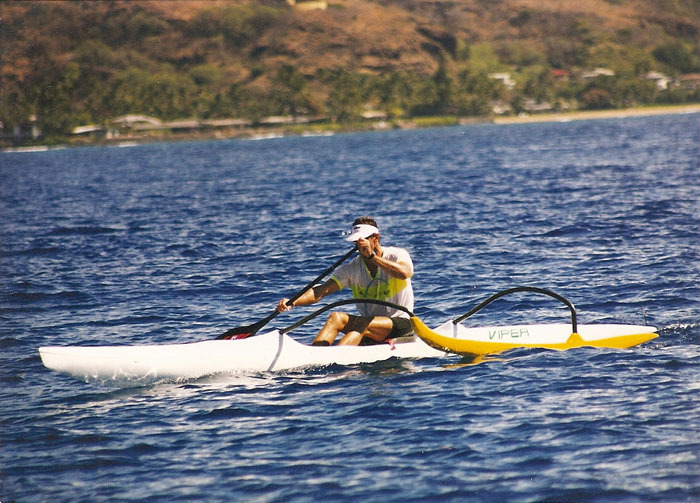 Here is some great video footage of a lightweight Mirage in action being paddled in Hawaii. The narration is by Walter Guild the designer of the Classic and Force 5 OC6s. If you want some more info on the new lightweight Mirage or would like to place an order please contact me.